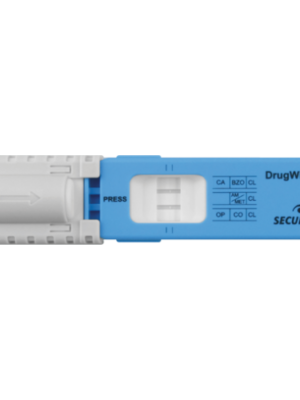 ALCOLOCK’s DrugWipe Drug Screeners are among the wide range of products and services we offer. Whether you’re a driver looking for ways to successfully complete your program or a facilitator seeking to add to your existing line of offerings to better serve your client base, we have many options that can help you reach your goals. Check out our shop for more best-in-class products and services developed specifically to help you succeed. Our drug screeners use rapid immunological technology to detect up to six different controlled substances on surfaces, in saliva, or in sweat. These substances include cannabis, opiates, cocaine, benzodiazepines, amphetamine and methamphetamines (including MDMA and ecstasy). Our drug screeners are intended for professional use as an aid for on-site detection of possession, trafficking, use or abuse of drugs. Our DrugWipe Drug Screeners come in two models: DrugWipe A and DrugWipe S. While both offer similar functionality and results, they do have slightly different specifications. Be sure to check both product pages to make sure you’re purchasing the model that’s best for you. If you have any questions, feel free to contact us as we’d be happy to help. 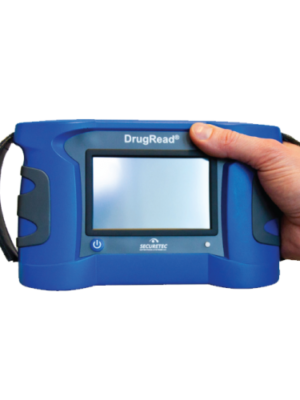 ALCOLOCK’s DrugWipe Drug Screeners are some of the multitudes of accessories and products we offer. Whether you’re a driver looking for ways to more efficiently achieve license reinstatement or a facilitator looking for ways to expand upon your existing line of product offerings to better serve your customers’ needs, we have a wide range of options that can help you achieve your goals. Stop by our shop for a selection of top quality products and services created to help you achieve success.